Is the Lean Startup movement another fad or a real source of value creation? The implications of the latter are extreme. If Lean Startup is a real way to achieve consistent success in new ventures then Eric Ries may have cracked the code toward persistent venture success and ultimately: wealth creation. Historically, some product owners have prioritized backlogs by making pairwise comparison of projected economic return between two items in isolation. Successful Agile teams often take a holistic approach, accounting for risk, dependencies, and the complex interplay among and across backlog items. With SOA and BPM still being most popular buzzwords in IT today, a question of their relationships is still debated between practitioners. The Process Isomorphism pattern, proposed by Jason Bloomberg, makes an attempt to bring them closer together. Dion Hinchcliffe discusses Web Architecture and the relationship of REST practices and principles in the construction of a Web Oriented Architecture (WOA). The relationship between WOA and SOA is also explored. It's not news that at the heart of successful software systems (and, frankly, fulfilling software careers) is good design. Also not news is that defining what "good design" really means has been at the heart of many debates, papers, talks, books, discussions, and more for ages. To help, J.B. Rainsberger and Scott Bellware offer some advice to follow until that one true definition comes along. A recent discussion thread on the Scrum Development Yahoo Group examined the value of process checklist tests such as the Nokia Test or the Joel Test. Some see these tests as the starting point for a rich agile maturity model, others worry that this could lead to prescriptive approaches to agile, which would miss the whole point of inspect-and-adapt entirely. During the past several years industry tried to define and redefine SOA many times, often contradicting itself in the process. Is SOA really changing that much, or all this is happening due to continuing lack of understanding of what SOA really is? Adobe recently acquired Virtual Ubiquity, the creators of Buzzword - a web based word processor. InfoQ.com connected with David Coletta and Tad Staley of Adobe Systems to learn more about the product, the challenges and benefits of using Adobe Flex for its development, and what the future holds for the product. There has recently been a great deal of discussion both inside and outside the agile community in which the essential question is: Has the word "agile" become meaningless? According to a Network Computing reader poll, "SOA" is the most despised tech buzzword. Is this just a typical sign of the hype cycle "trough of disillusionment" or something the SOA community should take seriously? 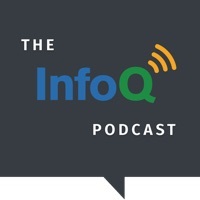 InfoQ Ruby editor Obie Fernandez interviews Tim Bray, one of the inventors of XML and current Director of Web Technologies for Sun Microsystems. We cover varied topics such as his opinions about Ruby and Rails, the impact of dynamic languages on web development, static versus dynamic typing, Sun's support of the JRuby project, Atom, and WS-* versus REST approaches to systems integration. Amazon.com founder, Jeff Bezos, explains 70% of a project's time is spent on inconsequential tasks and suggests these could be outsourced to third parties or technologies, such as Rails.